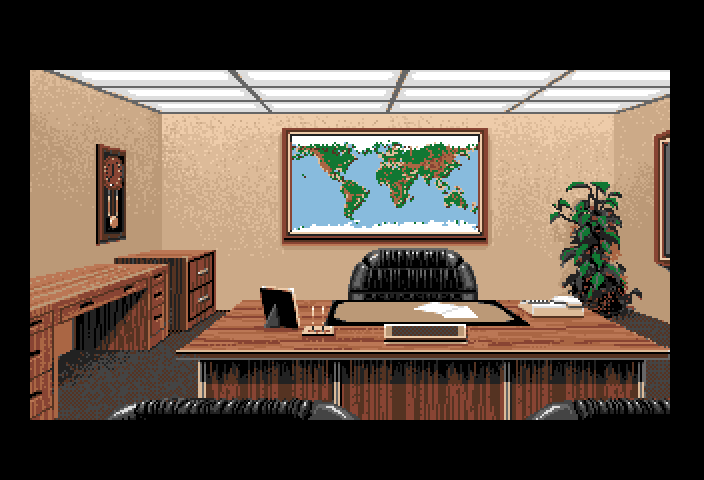 This is an office scene that was included in Ports of Call. It matches the Office 3D image closely, but uses fewer colors an has less details. This image looks like an extended version of an image used in the game Ports of Call. Most notable changes are the larger screen area and the increase in colors used.